Thanks for all your help, especially in understanding me. You and your staff are excellent in all that you do. Other people could learn a lot about life from you and your staff." Thank you for the outstanding care you have given me and my family. I believer that you truly saved my teeth and my smile with the restorative work that you did. Eric referred you and said that you were the best in Dubuque and obviously our family wholeheartedly believe it. I hate to think about where my teeth would be in respect to losing them, or nor, if I would have stayed under the previous dentist I used. We obviously would rather you check our mouths and find nothing wrong, but that hasn't always been the case. The good thing is that we aren't scared if something shows up. We know that you'll be able to take care of any problems professionally and pain free. That says a lot for a dentist. I can't say enough about how confident Eric and I are in our smiles. That confidence spills over to may other areas of our lives. Because we have such a trust in your work, and that each and everyone of your staff, it was only natural that our children be treated at your office. Now Kristen Berning has become involved in our dental health and she appears to be continuing in her father's foot steps in providing excellent care. Thank you from the Lockharts." "My crooked teeth had always bothered me, but at my age, years of braces just wasn't something I was willing to do. The procedure to create my new smile was relatively painless. 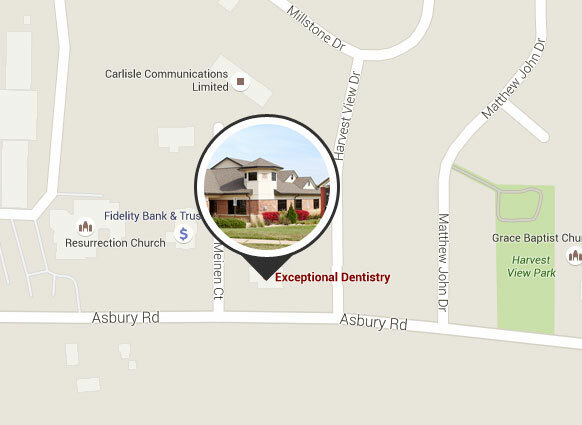 In fact, DR Murray and his staff made the whole process so easy and comfortable and it produced great results! I smile more and feel more confident about my appearances. Well worth the time and money. Thank you, Dr. Ted Murray!"